There's a lot that occurred in the first thirty-five minutes or so of Chicago Fire Season 5 Episode 22, but after those last shots, I'm left wondering if any of it really matters. Gabby and Casey's spat, Joe's grudge against Mouch, Mouch's retirement plans...when we don't know who will make it out of the factory fire, those things just stop seeming so important. But we don't know who lives and dies for certain, and this would be a very short review if I only covered the last ten minutes, so we'll dig into that other stuff too. First, can we all agree that while Herrmann bonding with that kid was touching (and was a good excuse for a visit to Wrigley Field), it was completely unnecessary? Don't get me wrong, I love the recent sports arena visits – they highlight why filming on location is so important to the #OneChicago franchise – but I'd rather have dug into the more serious issues instead. Or had a story that gave Kidd, Kannell or Otis some more lines. At least we got that wonderful back and forth between Mr. & Mrs. Herrmann. Herrmann: Where are my baseball cards? Cindy: The ones you sold? Cindy: Garage Sale 2002. You wanted to buy those cross country skis. Herrmann: What cross country skis? Cindy: The ones you sold in Garage Sale 2007 for the mountain bike we sold in 2010. Permalink: The ones you sold in Garage Sale 2007 for the mountain bike we sold in 2010. If that pointless story had been eliminated, maybe Cruz could have done more than just reiterate his (weak) complaints against Mouch. Or Mouch could have secretly been working on finding some scholarship money for Leon. Or we just could have been told why Cruz's suspension hadn't started yet. Having Joe forgive Mouch simply because he's having a heart attack in the middle of a five alarm fire has a certain kind of emotional impact, but it doesn't give Cruz a lot of credit either. Was I the only one that was afraid Cruz was going to say something stupid to Severide when Kelly confronted him about his drinking at Molly's? Not that the lieutenant wouldn't have deserved it, but it would have been a terrible career move. I totally didn't see Mouch's heart attack coming after all the buildup about his retirement. Getting stuck in a fire is one thing, but cardiac arrest in the middle of a blaze is another. I loved Herrmann's reactions to both the retirement news and Mouch's collapse. 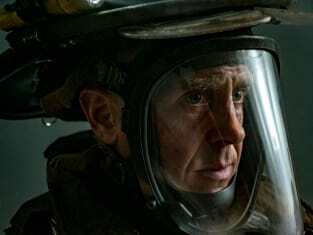 David Eigenberg played those scenes so perfectly. This is what brotherhood looks like. My question is if Mouch really died or not. Clearly Herrmann thought there was no hope, but it's hard to get a pulse through all that gear. This is where I get frustrated with the discontinuity between the shows; we'll see Trudy on Chicago PD, but it will be like this fire never happened. Speaking of Trudy, the scene where she picks Mouch up at Molly's may have been my favorite of the episode, and there was some stiff competition. The way they communicated, openly and silently, gives me some major relationship goals. And because both of the characters are usually such, well, characters, their silent affection for one another spoke even louder. Hopefully Mouch lives so they can pass on some tips to Matt and Gabby. It's really, really hard to believe that Casey won't make it out of that fire somehow. He's an anchor of the show and of 51. Besides, it wouldn't be fair to put Gabby through losing him after she already lost Shay. Especially while their in the midst of a fight. Casey's words to her on the radio might have been near perfect, but they don't erase that they were in the middle of something. She can't be left with that guilt. Gabby...Gabby...I want you to remember us happy. Together, holding each other. You were my miracle, Gabby. You were my miracle. I love you. Except that it's not like a major character hasn't been killed before. And killing Alderman Casey after his passionate speech in turnout gear at the Town Hall would give Matt an instant memorial, cause what, they're not going to pass the bill after he dies? I'm like 75% sure he'll be fine. Maybe injured and super annoyed that Ramon is still living with them, but alive. Ramon, Ramon, Ramon. This is another story that basically could have gone by the wayside. I get that it set up Matt being under stress at home in addition to work and was the root of his issues with Gabby, but where's it going now? I do love David Zayas, and he did a great job at being an annoyingly demanding drunk father-in-law. But are we ever going to find out exactly how he lost all that money? Or how he's going to get back on his feet when all he seems to do is drink, lounge in his underwear, and watch QVC? Ramon: Excuse me, young lady, I have to see a man about a urinal. Sylvie: [muttered] I don't want to get in the way of that. [to Gabby] Charming. As always. Permalink: I don't want to get in the way of that. Charming. As always. With the factory fire trapping what feels like half the firehouse, I really don't need any more loose threads left dangling in this finale. That's why I appreciated the wrap up to the alderman story line, even if it was just starting to get to be interesting from a political perspective. I'm not giving up hope for a Chicago Politics spin-off – it's not like Holly Robinson Peete or Daniel Eric Gold have any big projects in the works. Great, I call the cops, they send an ambulance. If I had a heart attack, I'm sure they'd send the bacon. 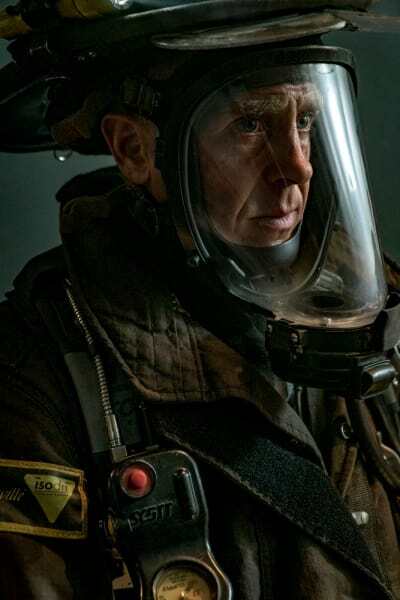 We won't know for sure who gets out until Chicago Fire Season 6 Episode 1, but that will be here sooner than you think! Until then, you can watch Chicago Fire online whenever you need a #OneChicago fix. 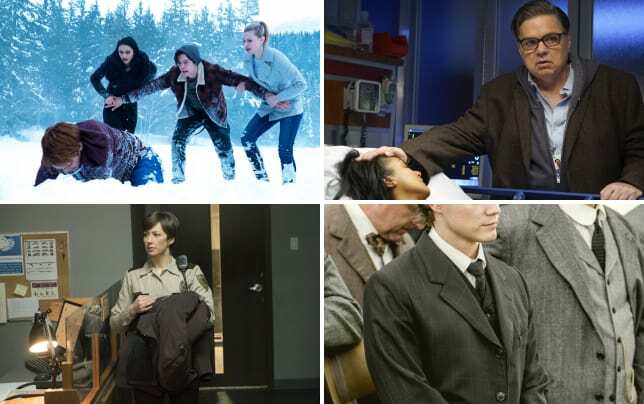 We want to hear your thoughts on the finale and the season as a whole, so join the conversation in the comments section! Who'll make it out alive? Will the fire serve as a reset button for everyone's troubles, or will the past haunt them all? Why can't Leon find scholarship or grant money? Matt [about Ramon's demands]: This is crazy. Gabby: Welcome to another episode of "The Dawsons." Permalink: Welcome to another episode of "The Dawsons." Life, Matt. You can actually eat it up by the spoon. Permalink: Life, Matt. You can actually eat it up by the spoon.